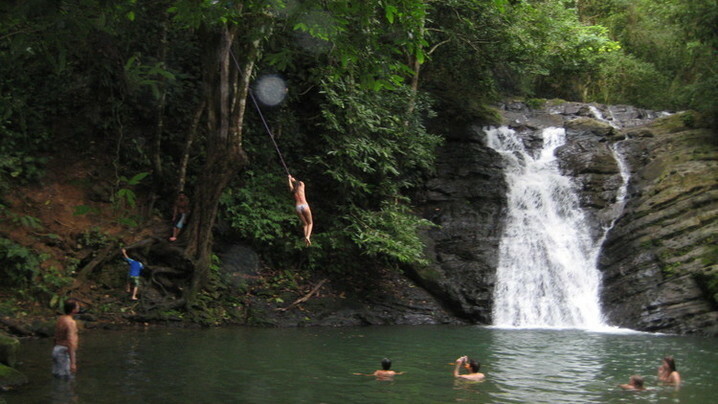 Reignite your inner fire and awaken your spirit by submerging yourself in the jungles and beaches of Costa Rica. 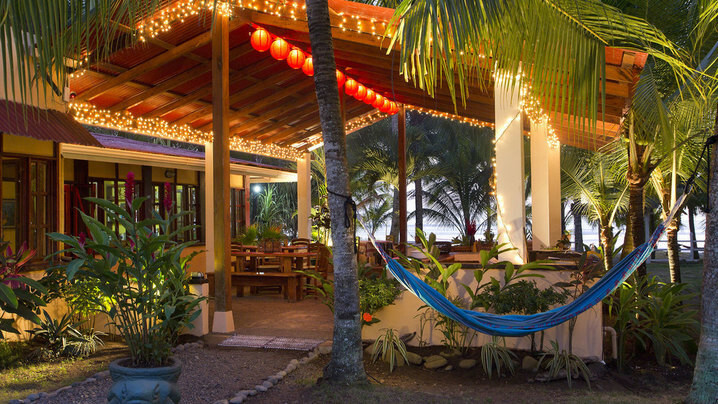 Encantada Ocean Cottages are located in Esterillos Oeste, a small friendly community less than 2 hours from the San Jose airport on the Central Pacific Coast. This part of the Central Pacific has one of the most consistent and cleanest breaks for surfers. 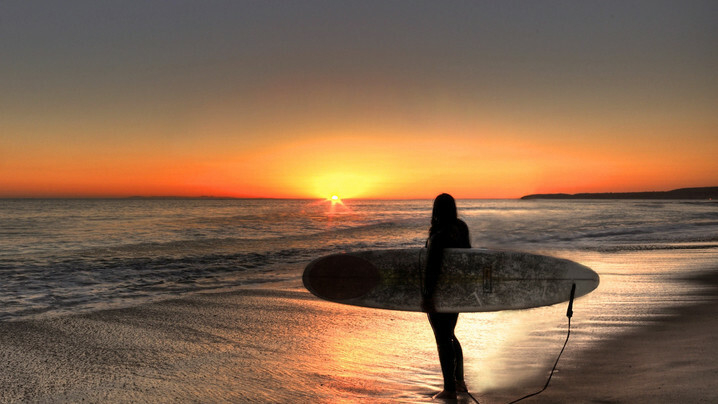 Besides surfing, the beach is friendly towards all sorts of activities, such as horseback riding and volleyball. At low tide, the size of the beach increases dramatically, creating a blemish free vastness of dark sand waiting to be explored by beach combers. The spacious cottages are on a lush green acre nestled in a tropical setting situated right on the vast chocolate sand beach. 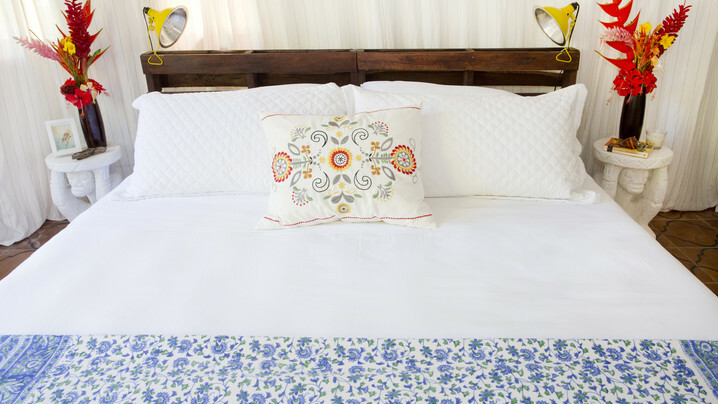 There are seven unique cottages with air conditioning, hot showers and wi-fi. The hotel also features a library, patio, restaurant, yoga shala and pristine swimming pool surrounded by tropical gardens. Feel free to lay back and enjoy the day from one of the shaded hammocks under the numerous coconut trees. The open-air restaurant invites you to explore authentic Costa Rican cuisine where each dish is meticulously prepared over a wood fire grill. Take a dip in the sparkling sun-warmed waters, meditate in the serene poolside area, or lay back in the shade of palm trees and sip a refreshing cocktail. Optional group activities and excursions including zip lining, surfing, swimming, ATV tours, bicycle rentals, national parks and reserves tours, boat and kayak excursions, white-water rafting, canopy tours, mangrove tours, canyoning and waterfall route repelling. Each class will be unique in focus and style. Morning classes will most likely be more vigorous and evening classes will be more gentle in nature. Styles of yoga will include vinyasa, hatha, partner yoga, therapeutic, restorative & meditation. All levels welcome. Chrissy Gonzalez is a Chicago based yoga teacher, vegan foodie, blogger, traveler and animal lover. The onset of Chrissy's love affair with yoga 20 years ago set in motion an active practice that has allowed her to guide others for over a decade. Her formal training began in 2002 with Yoga Works in Los Angeles, and since then she has completed over 800 hours of yoga alliance certified training. She teaches alignment based classes flowing with upbeat energy, harmonious movement and a positive outlook. Chrissy stays busy teaching several public classes as well leading workshops and retreats. 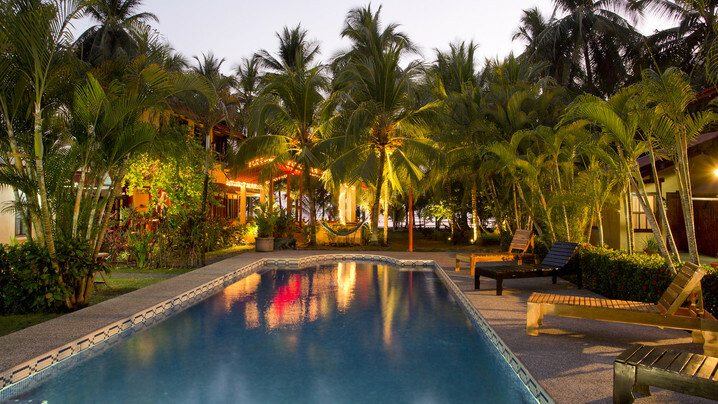 Offering an outdoor swimming pool, a garden and a private beach area, Encantada Ocean Cottages is located in Esterillos Este Beach, a still undeveloped, pristine, and yet very accessible chocolate sand beach on the Central Pacific Coast of Costa Rica. Our simple yet cozily appointed rooms all provide you with air conditioning and a seating area. Featuring a shower, en-suite bathrooms also come with organic, locally-made bath & body products. Extras include an outdoor seating area, a safety deposit box and a laptop safe. All rooms are only an 8 second walk away from the shore at our backdoor. Other facilities offered at the property include a tour desk, children's games and play area and laundry service. An array of activities can be enjoyed on site or in the surroundings, including cycling, horseback riding and fishing. Free parking is featured.